This silver plated round compact mirror is an ideal size to slip into a handbag. Decorated with pretty crystals it makes for a lovely gift for a friend or a loved one. 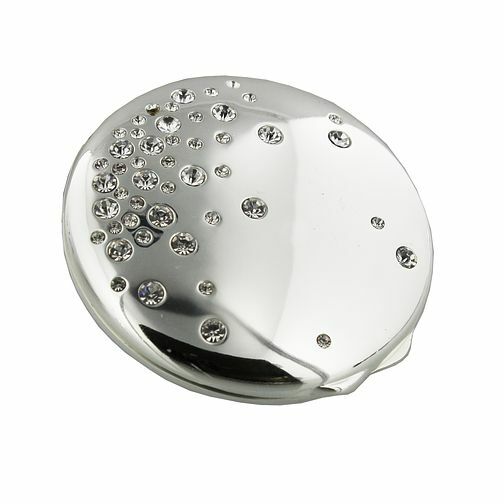 Silver Plated Round Compact Mirror with Crystals is rated 5.0 out of 5 by 1. Rated 5 out of 5 by Anonymous from Round compact Morror I loved this compact mirror. I have bought it for my grandsons girlfriend for her 18th Birthday. I hope she will be very happy with it.